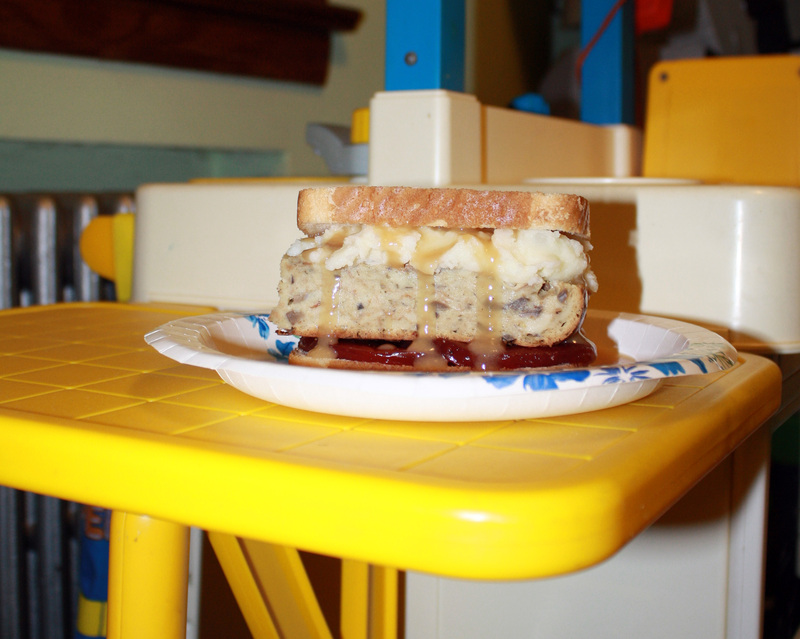 Continue to be thankful, even into December, by enjoying leftovers in sandwich form. Pile cold cranberry sauce slices; cold stuffing; and steamy, hot, buttery mashed potatoes with piping hot gravy. It’s a perfect metaphor for the post-Thanksgiving grind: the warmth of family and friends, and cold temperatures outside. Hearty and refreshing at the same time. It’s a mouthful and a bellyful to fill you up right for holiday shopping.